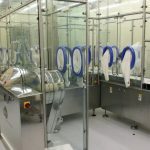 At Ward Automation, we design and build bespoke special purpose equipment for the pharmaceutical and medical device industries. 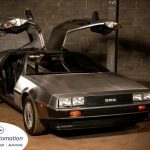 We are at the cutting edge of technology, using the latest robots, controls systems, vision systems, and Factory Automation technologies to deliver high-quality solutions to our clients. Our team includes dedicated and passionate Controls Engineers, Equipment Design Engineers, Machine Build Technicians, Project Managers, and more. For engineers, it’s an exciting, challenging, rewarding, and interesting place to work with the added benefits of the outdoor lifestyle that living on the Wild Atlantic Way brings! 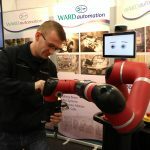 Working at Ward Automation means working on the latest manufacturing equipment and technologies, designing and building the most innovative automation solutions on the market. We have a commitment to retaining staff by providing a positive, solutions-based working environment where we help you develop your career and maximise your potential. Work-life balance is important to us too, and we share the company’s success with everyone on the team. We have two offices – one in Sligo, and one in Galway. As an experienced engineer, you can advance your career in either of our locations. You will get the opportunity to enhance your existing skills and learn new ones. We also reward achievements and successes, and we help our engineers create and follow a career path that best suits them. We also have a respected and highly successful graduate programme at Ward Automation. In fact, many of our current engineers and senior engineers joined us initially as a graduate engineer. As a graduate engineer, you will learn new skills and will get immediate hands-on experience working on projects for some of the largest pharmaceutical and medical device companies in the world. At Ward Automation we offer professional development opportunities with an attractive salary and remuneration package that includes a variety of benefit options. Our aim is to help you succeed at work and in your career, while also having a balanced and healthy personal and home life. Email covering letter with CV, stating location preference to careers@wardautomation.ie.